Sauna Benefits – Are There Health Advantages? Saunas are gaining in popularity, but are there any sauna health benefits you will receive that will make using one worthwhile? Yes. In fact, the health benefits of a sauna are often described as remarkable. These effects helped to spread the practice around the world. Today, a modern infrared sauna makes taking advantage of those health improvements easier than ever. These can range from visual changes in the body to how a person feels. So what are the benefits that you can expect? Let’s take a closer look at both the positive physical and mental improvements. What is a Sauna Good For? A Sauna relaxes blood vessels thorough a process called vasodilation, resulting in pain relief and reduction of tension and sore muscles. The heat and resulting sweating will also cleanse the skin and provide passive cardiovascular conditioning which can promote lower blood pressure. So, is sauna good for health? To answer the question simply, yes. There are a tremendous amount of potential benefits. But infrared is much different than steam. Let’s look specifically at the therapeutic aspects of colored light heat. The penetrating infrared light will promote natural healing, provide passive cardiovascular conditioning, retrain the body to relax and improve skin condition. Perhaps the greatest benefit of infrared sauna is that it can detox toxins that are released from fat cells by the penetrating light and heat. Does Infrared Sauna Detox Heavy Metals? What Are the Benefits of a Sauna After Workout? Do Infrared Saunas Help You Lose Weight? One of the primary benefits of a sauna is its ability to detoxify the body. The main way this is accomplished this is through the production of sweat. Sweating helps the body rid itself of toxins. Part of the problem is that most people today live relatively sedentary lifestyles. This means they do not sweat often enough or long enough to get rid of toxins. This problem becomes even worse in the cold temperatures of winter. The higher temperatures with heat therapy help to raise the body’s core temperature. As this temperature rises, the body produces sweat to help regulate heat. This sweat not only cools the body, but also purges it of heavy metals and chemicals. 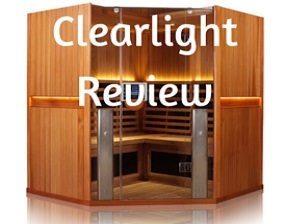 Infrared saunas take this a step further as it amplifies and supports the body in detoxification of fatty tissues. It is this release of toxins from fatty tissues and fat cells that is perhaps the primary health benefit of a sauna, especially an infrared sauna. Why detoxify? This process is a main way that an infrared sauna benefits your body’s organs such as the liver by reducing the amount of toxins the organs need to remove. Yes. A quality infrared sauna with effective infrared heaters will remove heavy metals such as lead and mercury by a process called resonance frequency. The closer the heaters are to 9.4 microns, the better this resonance frequency, or vibration of the cells. This is similar to how sound waves vibrate glass. This vibration, similar to glass molecules vibrating form certain sound waves, shakes off the heavy metals and other toxins that are stuck to the cells, releasing them to be eliminated from the body. This is one of the most critical health benefits of sauna usage and is the most critical aspect to consider when purchasing one for your family. This deep detoxification of heavy metals and toxins from a fat cell is one of the benefits of a dry sauna which cannot be obtained as well in a traditional steam environment. As we are exposed to lead and mercury during so many activities and with so many products, this is particularly important. The brand that produces the best resonance frequency is Clearlight. Other good brands which also deliver high levels of detoxification are Heavenly Heat and Sunlighten. This heavy metal detox is part of the reasoning behind these three brands being so highly recommended and satisfying such a high percentage of their customers. Another one of the benefits of a sauna is in the reduction of stress. We live in a stress filled world and many of us have little or no opportunities to relax. In the cabin of a traditional or infrared sauna, you are in a warm, beautiful place that is closed off from the rest of the world. You close your eyes, lean back and feel the heat entering your body. The first thing that happens when the infrared heat comes into the body and this vasodilation begins is the muscles start to relax. You go from a sympathetic state to a parasympathetic state. The sympathetic is the fight-or-flight, the running from the tiger, the stressed-out response. Parasympathetic, on the other hand, is rest and digest and I feel good. Many of us live in this stressed out state so regularly that we are not even aware of it. As a result, the body never fully applies itself to healing. The body won’t put energy into healing when it thinks it is in danger. That is great wisdom of the body. But we need to tell it that it is okay to relax. This is what the infrared sauna does brilliantly. As it gently relaxes your muscles, you feel the cares of the day falling away. It’s like a weight being lifted from your shoulders. As you relax, your body produces larger amounts of pleasure inducing chemicals called endorphins. This higher endorphin level helps you feel better and more alert and this feeling continues for some time after your session is over. With regular use these benefits multiply. The body is relaxed by being put into a parasympathetic state by the process of relaxation. Over time, the body is trained to remain in the parasympathetic state, taking even longer to go back into a fight or flight sympathetic state. One of the benefits of infrared saunas is their ability to help injured joints and muscles to heal. 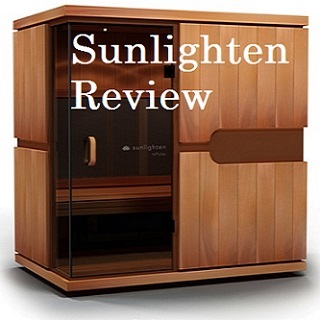 An infrared sauna radiates energy in the far infrared range of the electromagnetic spectrum. These far infrared wavelengths are able to penetrate the human body to the depth of up to two inches. This penetration allows the healing heat to positively affect deep muscle tissue and joints. The heat allows for increased blood flow to these tissues which, in turn, promotes the body’s natural healing processes. All saunas provide benefit after a workout by warming the muscles and increasing muscle recovery after a strenuous workout. Infrared has the added benefit of penetrating wavelengths that will promote healing and helps remove contaminants including lactic acid which develops during a workout. Another benefit is a noticeable reduction in after workout soreness. Infrared can also be used before working out. This is especially helpful for those with tight muscles or recovering from existing pain symptoms. It is important, though obvious, to drink a lot of water to hydrate and replace electrolytes. Electrolytes and minerals are lost as you heat from the inside and begin sweating. This is even more important during a traditional or steam session. As the body is heated up, blood is moved to the lungs and pushed towards the surface of the skin in the body’s attempt to cool itself. Breathing is increased and more oxygen goes into the blood as the heart rate increases. This is what also happens during exercise. Infrared therapy creates a mild cardiovascular conditioning, similar to light exercise. This can be extremely beneficial to those suffering from any condition that will not permit vigorous exercise as it provides a boost to circulation and the improved circulation often results in lower blood pressure. When you heat up your core body temperature, you are increasing the body’s metabolism. Not only is this great for pain reduction but it is good for weight loss as well. You can easily burn 300 calories and even up to 600 calories in a single session. Contrast this to walking which burns only 200 calories per mile. Walking is still a great form of exercise and it is also recommended. However the sauna will passively burn many more calories. A very important point for weight loss is the issue of toxins being stored in fat cells. Perhaps you know someone that eats celery and carrots and exercises and they still can’t lose weight. Part of the problem is the toxin overload they may have. As these toxins are stored in fat cells, the fat cells cannot be lost until the toxins are first removed. As infrared penetrates into the tissues, the heat and resonance frequency of the infrared shakes the toxins loose. They can then be sweated and eliminated out of the body. Once this process is started, weight loss can then begin. Allowing the body to begin its weight loss is a one of the vital health benefits of sauna use when engaged in regularly. Along with diet, this would be a healthy addition to your personal wellness program. Due to the vasodilation and other effects, inflammation in the blood and body is reduced. The pain nerves as well also get fewer signals to activate. Pain chemicals such as substance p are reduced. As well, lesser pains such as soreness in muscles after working out or straining are reduced. A 10 minute session prior to taking a set of stairs or short walk can completely eliminate pain which would normally result from these minor activities. This has actually been one of the most prominently reported beneficial effects. This is likely due to already injured people being very aware of their pain and the reduction that results. Both can relax your muscles and help get the toxins out of your body. The infrared is much different in that unlike the traditional sauna, it is not superheating the air that you are breathing. So your lungs are not being overworked by breathing in this hot 180+ degree air. As well, traditional heated air stops at the skin level. It promotes massive sweating but it does not penetrate into the tissues. Therefore far less toxins are released from tissues and fat cells. Infrared will promote sweat that has about 7 times the amount of toxins than steam produced sweat. It opens up the blood vessels and produces vasodilation.. This is called passive aerobic exercise. Your heart begins pumping more blood, your heart rate goes up and your muscles begin to relax. Pain will reduce and blood pressure will go down as well. You can have all these benefits of sitting in a sauna in comfortable temperatures for 20 minutes a day. Nice, huh? Many people have contacted us over the past several years regarding improvements in their skin. They may have begun using heat therapy for arthritis or other problems. But the first thing they notice is an improvement in the softness of their skin. One possible reason for this is that the detoxification happens very close to the skin level. As well, the skin itself is being cleansed by the sweating process. Yes, a sauna benefits skin tone and softness. Dry brushing can increase this effect and helps detox as well. The addition of near infrared will provide even more beneficial improvement to skin condition. Near IR promotes additional collagen production in the skin. This is a recommended addition if skin improvement is one of your primary goals. The overall lower toxic load and the passive cardiovascular exercise greatly improve heart health. 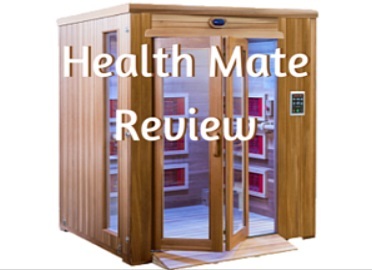 There is a recent study from 2016 that reviewed the history of 2500 men aged 50 and over related to infrared sauna usage. It was a 20 year study with groups using infrared and a control group which did not. Those sitting in an infrared sauna just one time per week had a drop in overall deaths. Three times per week resulted in a further reduction. Those using infrared 4-7 times per week dropped death rates from 58% down to 33%. This is substantial. A person suffering with Lyme disease is helped by infrared therapy. This is true especially during Herxheimer, the time during which the pathogens are dying. By eliminating some toxins out through the skin, the patient’s kidneys and liver are given a little relief from their task of reliving the dead pathogens. During the past couple decades, reactions and sensitivities to chemicals and electromagnetic fields has skyrocketed. With over 80,000 chemicals in our environment it is no longer a matter of trying to avoid toxins. We all are burdened with them already in our bodies. It is now a matter of removing them and quickly removing the ones that are entering our bodies on a daily basis. When our bodies reach their saturation point we reach toxic overload. This is when the body can begin to attack itself, known as auto immune. These levels are different for each person. But when the toxins begin mimicking hormones and confusing the body, serious issues can result. However, if you want to experience these benefits of sauna sessions, you need to be certain you have the proper unit. It needs to be providing true, deep penetrating infrared. It also needs to provide this in a clean environment, free of EMFs and contaminants. Please see our recommended brands and comparisons. Now more than ever we need to remove these toxins on a daily or weekly basis. Regular sauna sessions will stimulate the body at a cellular level. Raising core body temperature and providing all of the health benefits infrared saunas have been shown to provide. These include pain relief, relief of chronic pain and joint pain, improved sleep and reduction of chronic fatigue. All of this will give the body a chance to begin healing itself. We are pleased to see that more doctors are using light and heat therapy in addition to medicine for treating chronic conditions. Numerous medical studies have shown light therapy to be an effective and alternative treatment. During 2018, more clinical studies provided evidence proving the effectiveness of these treatments including a paper issued by the Mayo Clinic in August, 2018. It is important to note that healing is vastly different than curing. Infrared Sauna usage will not cure anything. Instead what it does is give the body a fighting chance to begin healing itself. And it does this very well. Please choose a product with safe low emf heaters. Our Comparison page with the Best Brands rated will help you navigate the decision process.